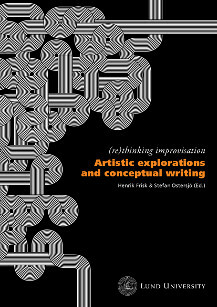 The publication for the (re)thinking improvisation sessions in artistic research Artistic Explorations and Conceptual Writing is finally here and releases. Two CD's, a DVD, and a book with texts on improvisation. Order from Lund University Press, Malmö Academy of Music.